Watermarks allow you to display an arbitrary fill style image, gradient etc. in the control canvas. 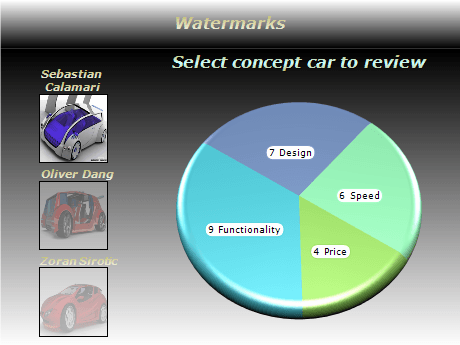 User can control watermarks size, position, transparency and fill style. One common usage of watermarks is to apply a background filling for other panels.